We all know him as Steve Rogers / Captain America, but if you follow Chris Evans on social media, you already know what a super hero he is in real life as well. This time Evans teamed up with Omaze to help raise money for Christopher’s Haven, a Boston area charity that provides temporary housing for families with children who are battling cancer at local hospitals. In the hilarious video posted to Omaze’s YouTube channel, Evans is hiding in a back room, talking through a speaker that was set up behind a Captain America doll. Customers who strolled into the Comicazi store in Boston were treated to quite the surprise. 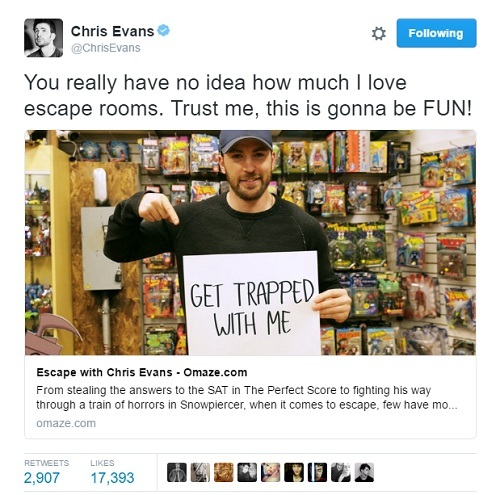 You may have seen Evans promoting his escape room event on Twitter with his “get trapped with me” sign. An escape room is a game where people solve a series of riddles and puzzles in order to escape from a locked building. In order to give store patrons a feel for what the main escape room event will be like, they participated in a similar game with Evans leading the way. The game, which included finding code numbers and yelling “hail hydra” to draw out secret operatives climaxed with something very special – meeting Chris Evans in person! 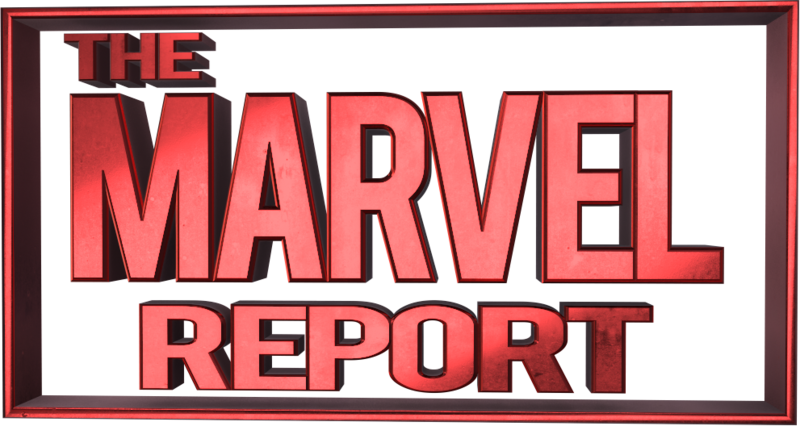 The main escape room event that Evans was promoting claims “You could solve a murder, get locked up in a haunted house, rob a bank or maybe even solve a murder in a haunted bank. No matter the narrative, it’s going to be a night you’ll never forget.” With Evans there himself, it’s definitely going to be an amazing time for the Evans fan who wins! Flights and hotel are included, AND the winner can bring three friends! Anyone can enter the main escape room event, by making a minimum donation of $10 to Christopher’s Haven through this link on the Omaze website. The bigger the donation, the more entries you’ll get into the grand prize drawing. Donations and entries will be taken through February 3rd. If you’re into charity events like I am, I can’t imagine donating to a more worthy cause. If you do choose to donate – good luck!